Emojis are a fun way for people to communicate using a smart-phone. While there are many reasons people love using them, like the fact that there is an alien, there is a ton of controversy due to the race indicated by many of the emojis. When choosing to send a friend a sassy hair flip or a cute family, the options are not very inclusive. Each emoji is usually Caucasian, leaving little room for diversity. This is a major issue, as it is offensive to people of other races. Recently Apple released a new update for their emojis, which includes various skin-tones to be chosen from when selecting an emoji. While this was a well intentioned effort at fixing an offensive issue, the new emojis have taken a turn for the worse. “While it is outstanding for racial diversity to be applied in all aspects of our society (though in regards to emojis, it seems long overdue), it is important to take these accomplishments with a grain of salt. While there are steps, racism is still institutionalized deeply in our culture, and recognizing that is the only way to abolish it. While it is not the fault of Apple that people are using these emojis in all the wrong ways, it cannot be ignored simply because the emojis are available,” said (AHS) senior Tony Bollino. People now feel compelled to use the emoji of their skin tone, taking the issue of race into what should be a minuscule part of life. “I feel like the new update helps me communicate with my friends, but it still seems odd the way Apple did it,” said AHS senior Amy Tundel. On April 10, the Washington Post stated that Apple has taken the easy way out, as instead of creating culturally diverse emojis, people can just choose to make the white ones different in race, basically whitewashing and making a joke of the situation entirely. Not only is that an issue, but the new emojis have been used on social media platforms as a new way to make racially insulting comments. One of the most obscure of these is a photoshopped list of the emojis, including the late Michael Jackson’s face showing his progression from black to white. It was a lighthearted attempt to end controversy over emojis, but created a larger problem than before. While some are happy with the ability to choose their race, some find it offensive, which is contributing to the original issue. “I think they are helpful because not everybody agreed with the one skin tone and now that there are more shades it shouldn’t be controversial,” said AHS senior Aleisha Campbell. It’s true that the update has made the emojis more inclusive. “I think it’s honestly a good idea but it would have been better if they had focused more on culture and less on race,” said AHS sophomore Jared Winn. This entry was posted in Entertainment, Teen Interest and tagged 2014-15, AHS, Apple, Attleboro, emoji update, emojis, iPhone, racism, smart phones, Taylor McKenna on April 28, 2015 by abeeahs. What format do you prefer to listen to music on? This entry was posted in Home on April 27, 2015 by abeeahs. Extinction is not new. Animals experienced this long before human interference as part of natural cycles. Mass extinctions occurred thousands of years ago. More recently, humans have been the cause of smaller extinctions, wiping out one or two species in an area at a time. When extinction occurs, the species, family or other large group, have no more living members. “Family” refers to the scientific classification of all living things on the planet. Organisms in the same family would have evolved from the same ancestors and share similar characteristics. When extinction is discussed, the topic is most often a specific species, like the Carolina Parakeet that went extinct in 1910. Then there is the threat of extinction. Species in this classification are considered endangered, extinct in the wild, or threatened. “It’s important to prevent extinction so we can keep the cows alive and make yummy hamburgers,” said Attleboro High School (AHS) freshman David Jeffery. Some species are classified as being extinct in the wild. This means wild populations have died out, but there are still living members in zoos, private collections or preserves. 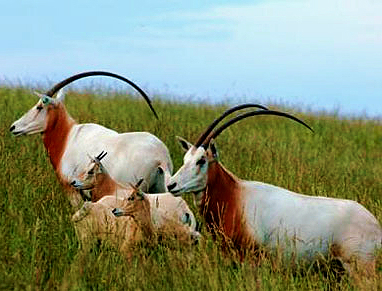 An example of this is the Scimitar-horned Oryx, which is classified as being extinct in the wild with live members in zoos and safari parks in many countries. “If we broaden the spectrum and see species as not just animals but as all organic life, it’s extremely important. The entire ecosystem is fragile. If you think about the animals we rely on for food going extinct, then it becomes a problem in most people’s eyes. It can only get to the point where it’s too late to fix the damage if we allow it to. If you won’t save animals for morality, save them to save yourselves,” said AHS senior Andria Rodrigues. Conservation classifications and abbreviations, according to the World Wildlife Fund (WWF) include extinct (EX), extinct in the wild (EW), critically endangered (CE), endangered (EN), vulnerable (VU), near threatened (NT) and least concern (LC). WWF is an organization that works on a global level to protect animals from illegal hunting, extinction, habitat loss and anything that could possibly danger the species survival and well-being. It was formed on April 29, 1961 in Morges, Switzerland. Based on documents starting in 1500 A.D., there have been 940 species that have become extinct around the world. The Encyclopedia of Earth Organization (EoE) reports that there are four major causes of human-induced extinction. “I actually thought the number was significantly higher than 1,000; especially considering the damage we do to the Amazon where hundreds [of species] may be found on one single tree species,” said AHS science teacher Mrs. Deanna Wells-Scott. EoE is an electronic reference about the earth, its natural environments and their interaction with society. It is a free, expert-reviewed collection of content authored by scholars, educators, professionals, practitioners, and others experts who collaborate and review each other’s work. The largest contributor to species extinction, according to EoE, is human induced habitat destruction, which is attributed to approximately 80 percent of all extinctions. Most of this destruction is due to natural habitat conversion for the intended use of agriculture or logging. “I think people need to be smarter about how our environmental resources are used. Certain things we take from our environment we are capable of putting back, we just aren’t making the effort to do so and that affects other animals,” said AHS senior Alexandria Astrofsky. Over exploitation is another factor. Humans worldwide use natural resources, but it reaches a point where those resources are being exploited. The most common reason for exploitation is over-hunting a species for purposes of food, medicine, trophies, clothing, or souvenirs. Pollution is another significant factor. Toxins are introduced into the environment, whether it’s in the air, soil or water. Chemical toxins could inhibit metabolic functions of organisms, causing functional impairments or death. If the population of one species decreases considerably, the ecosystem and food chain as a whole are affected. Predators to that species have less food and “prey of that species” have fewer individuals hunting them. This can cause large-scale population changes across the entire food chain of that ecosystem. “The consequences of a species going extinct all depends on the species itself and how many levels of organisms are affected. If a sloth goes extinct in the rain forest, it directly affects the moths that eat its dung, the trees it fertilizes and the moss that grows on its fur,” said Wells-Scott. The final key cause of extinction is the introduction of alien species into an ecosystem. Humans, for one reason or another, have introduced new species into different ecosystems where similar species did not exist before. For example, rats, weasels and other mammalian predators were introduced into Australia where they were previously not found and caused population deficiency of the native kiwi bird. To prevent extinction, preservation is important. Humans need to better protect or preserve habitat areas, such as forests, lakes and rivers. To accomplish this, resources need to be better managed. “I don’t think deforestation on some level is completely unavoidable. As the human population grows, we’ll need more space, food and wood. However, if certain steps are taken, the impact can be significantly lessened,” said Wells-Scott. Humans will always need these resources, but where those resources come from and how they are used is very important when it comes to the impact on the environment. “Rather than wiping out whole forests, loggers can take trees from multiple areas rather than all of the trees from one area, and then replant two trees to take every new ones place. Rather than rip down forests to make way for houses or malls, abandoned factories and buildings can be demolished so as to reuse land, rather than start from scratch. The materials from the ripped down buildings can be recycled, rather than thrown out,” said Wells-Scott. When a species goes extinct, it affects the entire ecosystem. Animals in the wild live in balance with the other animals and plants. 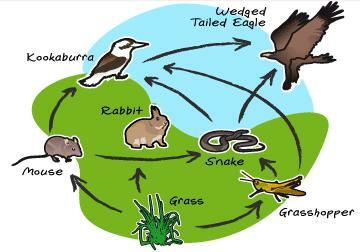 All animals affect other species and in turn are affected by other species. This entry was posted in Home, In & Around AHS, Teen Interest and tagged 2014-15, AHS, Amanda Hansen, animals, Attleboro High School, Extinction, Species on April 17, 2015 by abeeahs. Work study is an amazing opportunity for qualifying seniors at Attleboro High School (AHS). Those students, who have enough credits to graduate at the end of the year, don’t need extra classes, because they have already filled their extracurricular graduation requirements. During the school day, different for each student depending on their schedule, students can spend time off of the school’s property and can use this time to pick up extra hours at their jobs, take college courses or catch up on school assignments. Students who are granted a work study have to hold down a steady job and must keep that job until the end of their work study. Spending time out of the building to pick up extra hours and catch up on assignments is great, but work study can also make school more stressful and less stressful, all at the same time. The process to be granted a work study is long and painful. Seniors must first see their guidance counselor and ask if they have any free blocks that they don’t need for graduation so they can sign up for a work study. Students who have failed classes during their time at AHS may not be able to do a work study because they have not earned enough credits. Once this is complete, students must fill out a form and attain a parent/guardian’s signature. The approval form is then returned to the guidance counselor, who fills out the other half. Once this is done Experiential Learning Coordinator Ms. Rebecca Richard makes the final decision. Richard calls students’ jobs and speaks to managers to make sure that her students are holding down a job position. She also asks any other question/s needed. Once this is all set, she may even call a student’s parents/guardians to go over the process. This can take weeks depending on how busy Richard is, how long it takes for a manager to return her call, or how many others have signed up for work study. Students should begin the process at the beginning, or at the latest, the middle of a trimester before the trimester in which they want to take the work study. Another downer about work study is that students who take all year courses such as AP, CTE, or Journalism can’t opt out of these classes for a work study. Work study is great for qualifying students, who don’t need to be in school for the normal 6 hour and 45 minute period. Some students may only need to come to school for two periods. This freedom and independence can do wonders for those who feel limited during the normal school schedule. This time can also help with those who suffer from disorders. Anxiety in the classroom is an ongoing problem for many students. This opportunity gives students a chance to breathe and spend time in atmospheres where they are more relaxed and at ease. Overall, work study has its ups and downs but can serve as a fantastic preparation for college. Since it requires students to be a lot more independent, it helps a lot with time management. AHS still mandates the MCAS and the new PARCC testing so students need to be certain they arrive on time and leave promptly due to the changing test schedules. For more information, visit school guidance counselors or see Richard in the LMC-6. 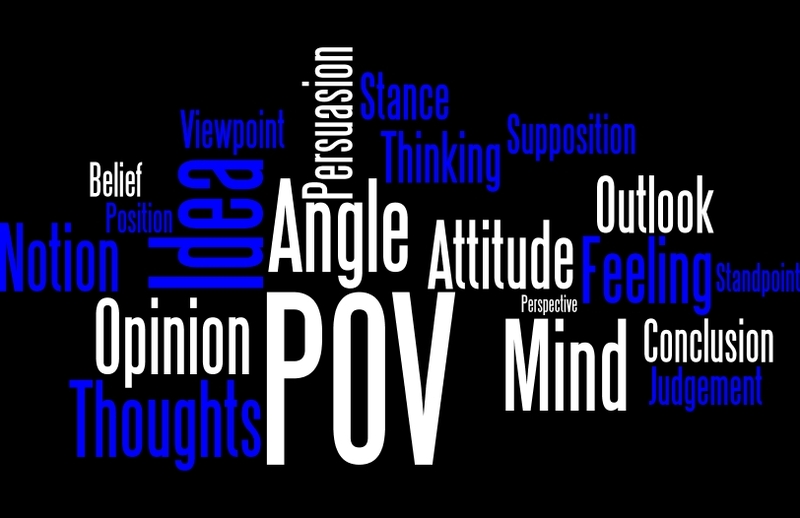 This entry was posted in Home, In & Around AHS, Opinion, Teen Interest and tagged 2014-15, AHS, Attleboro High School, Kenna Beech, Opinion, seniors, Work Study on April 16, 2015 by abeeahs. Quill and Scroll was organized on April 10, 1926 at the University of Iowa and poses as an amazing opportunity for advanced journalists at Attleboro High School (AHS). AHS is a Quill and Scroll Charter school. This gives journalism teacher Ms. Adeline Bee the authority to induct outstanding students into the Quill and Scroll Honor Society. 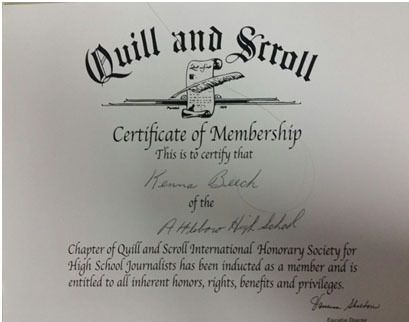 Quill and Scroll grants the qualifiers the acceptance and recognition as a published journalist. This membership is also recognized on the student’s diploma. During the winter, the advanced students of the class, who were deserving of the award, were made aware of the guidelines, including that the students had to be in the top third of their graduating class. There is an application fee of $25, which gave students the chance to pick a specific position with its corresponding pin. Seniors Rose McDermott and Taylor McKenna picked “Editor in Chief” while senior Kenna Beech chose “Managing Editor.” All three advanced journalists were recognized by their extreme dedication and efforts and were awarded official Quill and Scroll gold pins with their position labels scripted on them. The three were also awarded a certificate of membership certifying them as official members of the AHS Chapter of Quill and Scroll International Honorary Society for high school journalists. They are entitled to all inherent honors, rights, benefits, and privileges of the society. Quill and Scroll members are also granted a one-year subscription to Quill and Scroll Magazine, recognition for exemplary achievements, scholarship opportunities for members or winners of yearbook excellence or writing, photo and blog contests, which are offered annually, along with helpful resources like instruction aides, information about scholastic media trends, and contests that offer feedback. Quill and Scroll helps keep members updated on their Facebook page “QuillandScrollSociety,” and their twitter account “@QuillandScroll.” For more information visit their website <http://quillandscroll.org/&gt;. This entry was posted in Home, In & Around AHS, Teen Interest and tagged 2014-15, AHS, Attleboro High School, journalism, Kenna Beech, Ms. Bee, Quill and Scroll on April 16, 2015 by abeeahs. On April 16, Attleboro High School’s (AHS) Class of 2015 hosted their third annual Senior Class vs. Faculty and Staff Basketball Game in the AHS large gym. This game served as a fundraiser that gave the senior class funds to help pay for the ceremony after graduation that is held at the Pleasant Street YMCA on June 5. Students, staff, faculty, and families were invited to watch the game and tickets were sold at the door for $5. Raffle tickets were also on sale at the game for $5. The first ticket drawn will receive two prime reserved seats and one prime reserved parking spot at graduation , the second drawn will receive two prime reserved seats at graduation, and the third drawn will receive one prime reserved parking spot at graduation. Winning raffle tickets will be drawn on Wednesday May 27, 2015. This basketball game was a fun and competitive high-spirited event for the senior class, staff and faculty participants. The AHS faculty who participated were: Mr. Daniel Walton, Mr. William Stiles, Mr. Patrick Parker, Ms. Becky Richard, Mr. Bill Runey, Mrs. Ravesi-Weinstein, Mr. Weston Pondolfino, Mrs. Susan Sherk and Mr. Marc Bonneau. Brennan Middle School student William Runey also played on the faculty team. AHS seniors who participated were: Charlie Culhane, Olivia Letourneau, Matt Elliott, Matt Milliken, Stephen Deyo, Carly Paras, Tim Christensen, Joshua Ribeiro, Jeff Toomey, Tim Travers, Brenden Massey, Matt Rodrigues, Amy Eklind, Kerri Beland, Ricky Pho, Justin Adams, and Kimberly Runey. This entry was posted in Home on April 16, 2015 by abeeahs. The first film of the Divergent trilogy reached the #1 spot at the box office during its opening weekend last year, so the sequel, Insurgent was anticipated to rake up a similar, if not better, response. The movie stars popular actors and actresses including Shailene Woodley who plays Tris Prior, an independent heroine, Theo James as Tobias “Four” Eaton, a determined fighter, and Ansel Elgort as Caleb Prior, Tris’s betraying brother. The movie continues the story of Tris and the post apocalyptic world she faces. She and her allies search for an answer as to what Tris’s family sacrificed their lives for and why the Erudite faction will do anything to stop them. A war begins to brew as conflicts grow and past secrets are revealed, which affect everyone’s future. “Getting back into Tris was much more difficult than I anticipated, because I didn’t take into account that I, myself, had grown for a year,” Woodley told People Magazine in a press interview a month ago about filming the second movie. Just like many other book to movie adaptations, Insurgent was modified to make the story more thrilling and Hollywood appropriate. The book’s main idea of character relationships was transferred from page to screen with some major adjustments, including the entire ending of the movie. Warning: spoiler ahead. Originally, the finding of the truth revealing video message was found by Four and Caleb, but the movie’s redesign added a twist. Common Sense Media rated the movie three stars out of five, Metacritic gave it two stars, and IMDb praised it with four stars. “I saw the movie but didn’t read the book, so from what I saw I thought the movie was really good. It was suspenseful and ended with sort of a cliffhanger so that got me excited for the next movie,” said AHS sophomore Lyan Khanji. The Divergent series has often been compared to The Hunger Games series because Tris from Divergent and Katniss from The Hunger Games are both female characters who rise as leaders and mourn the losses of others who have suffered as a result of a similar futuristic rebellion revolution. Another similarity in both these novels is the glitchy, dystopian society the characters are forced to live in. Whether its The Hunger Games districts or the Divergent factions, there are flaws. Jeanine Matthews from Divergent and President Snow from The Hunger Games are the over controlling leaders who negatively influence many people and have so much power that they become the rebellions’ targets. “I thought the movie was interesting to watch. There was a lot of action, but it didn’t follow the book as well as I would have liked and the acting was sub-par,” said Foxboro Regional Charter School (FRCS) senior Avanna Menard. 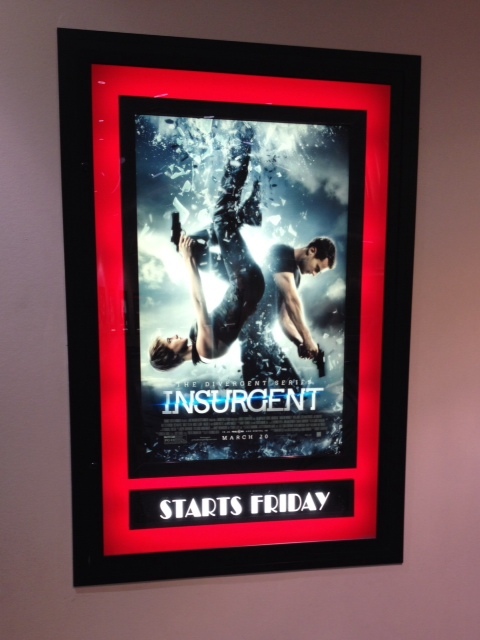 Insurgent came out on March 20 making $54 million in its first weekend, just in North America, which is basically the same amount Divergent made its first weekend. It is rated PG-13 for its extreme violence and action and also its occasional, aggressive language. Like many other book to movie adaptations of young adult series, the last book in the series, Allegiant, will be split into two movies. Plans are to release Part 1 on March 18, 2016 and Part 2 on March 24, 2017. Insurgent deserves 3.5 out of 5 stars for its thrilling action and satisfactory acting but loses points because it doesn’t follow the book as well as fans might’ve liked. This entry was posted in Celebrities, Entertainment, Home, Movies, Teen Interest and tagged 2014-15, Ansel Elgort, Caleb Prior, Divergent, Four, Insurgent, movie review, movies, Natalia Wroblewski, Shailene Woodley, Theo James, Tris Prior on April 15, 2015 by abeeahs.